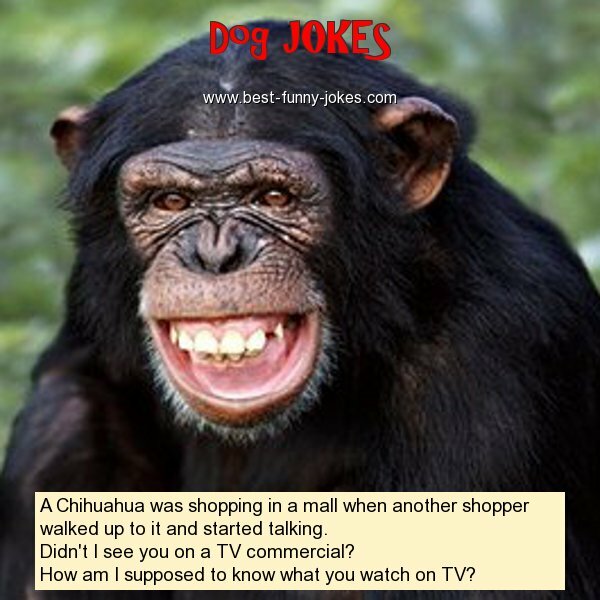 A Chihuahua was shopping in a mall when another shopper walked up to it and started talking. Didn't I see you on a TV commercial? How am I supposed to know what you watch on TV?